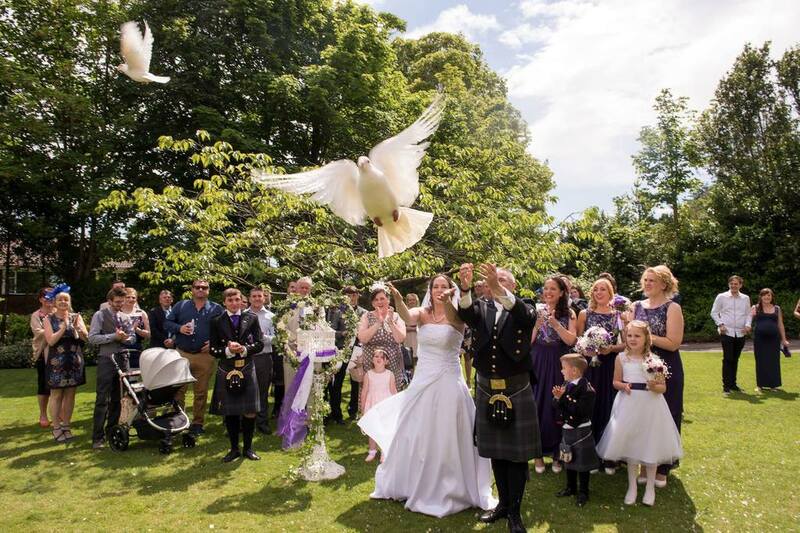 Releasing 2 Pure White Wedding doves on your wedding day is a true symbol of love, peace and prosperity, it symbolises your unionship as husband and wife, as you release the doves separately they come together and make their way home together as a pair. 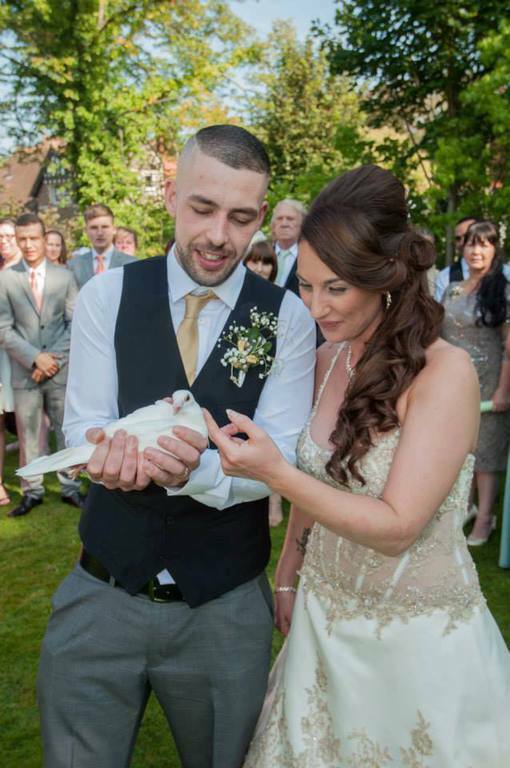 It is also said that if you see a white dove on your Wedding Day then a happy home is assured and good luck will come to those who have witnessed their release. We offer lots more packages and are always open to your sugestions and ideas. 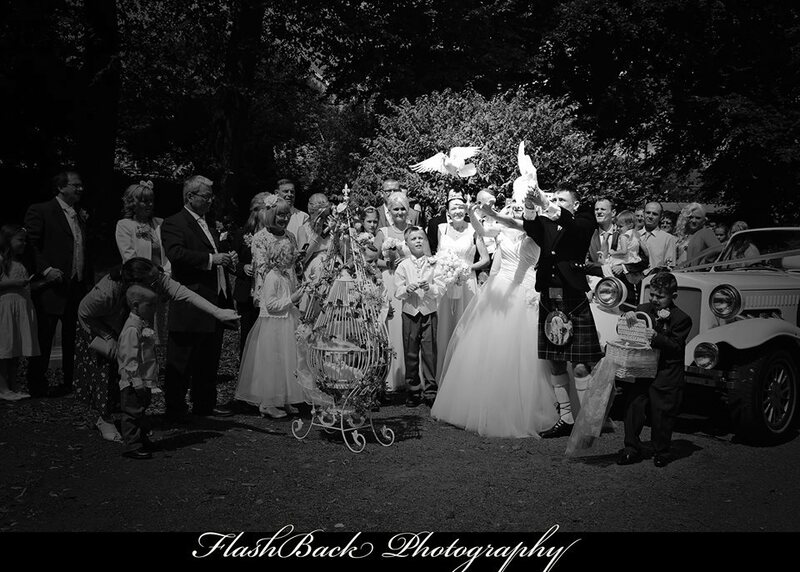 We can work with your Wedding planner and Photographer to make sure that your big day runs smoothly. 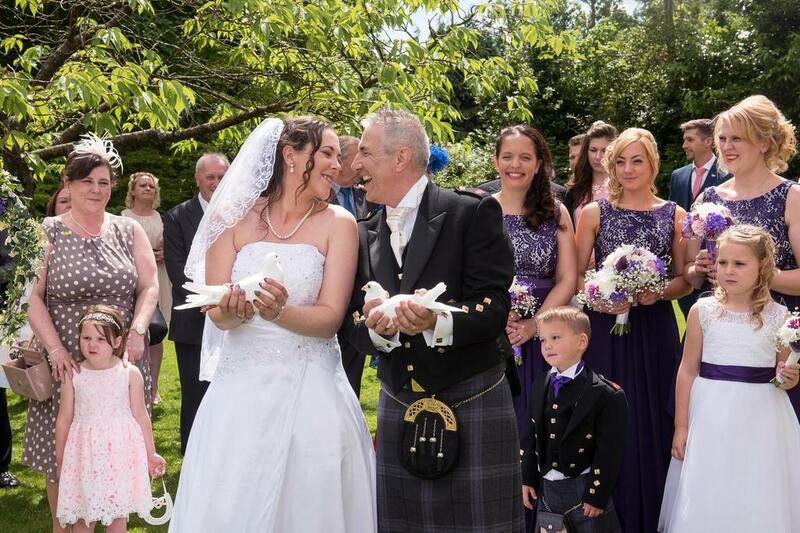 We promise to deliver a first class service for your wedding day. 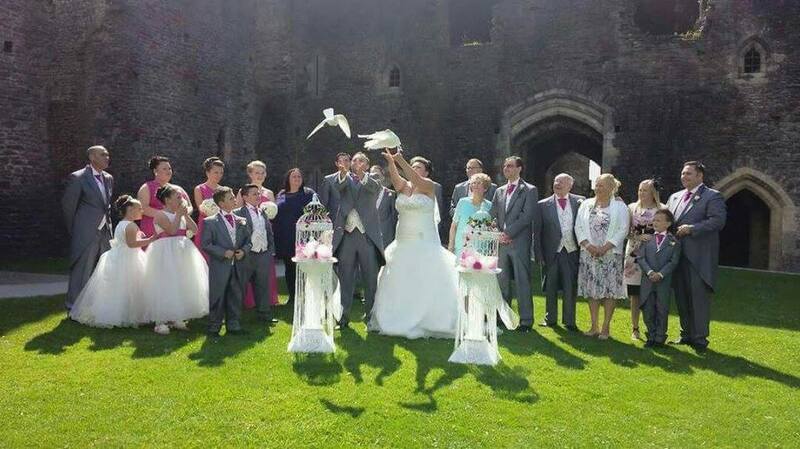 Whether you are looking to release A Single wedding dove by hand or from a basket or a flock we can make it happen. We will provide beautifully handcrafted baskets and cages, which can be used a stunning centerpiece for your big day. British weather is really unpredictable in the Winter months, so for the months of November December January and Febuary ONLY, All doved up offer special rates of Monday Just £120 plus fuel expences and additional cost of extra doves if you choose this option. The reason for this is because if the weather is too bad the doves will not be able to be released, so the offer is for us to attend with our doves a dove blessing will be read and photographs only. 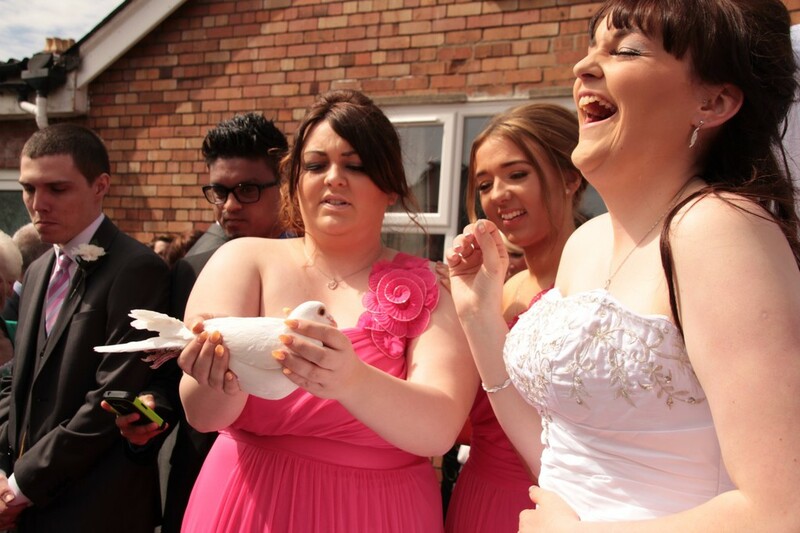 BUT if on your Special day the weather is suitable the dove release will go ahead at no extra cost. This offer applies to areas within 10 miles of Newport outside this radius fuel cost will apply. 1) The True Love Package ...How amazing would it be in your photographs to have two beautiful cages with Doves sitting inside. These can will be set up while your ceremony is taking place. All Doved Up have a variety of stands and cages to choose from to suit your taste, same price for all styles nothing hidden. 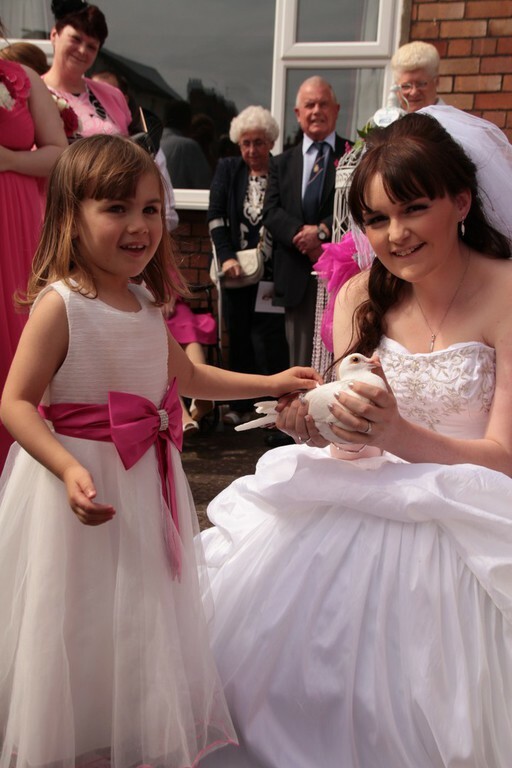 3) If you have children and want to include them in this special moment they also can release a dove, £20 per dove. 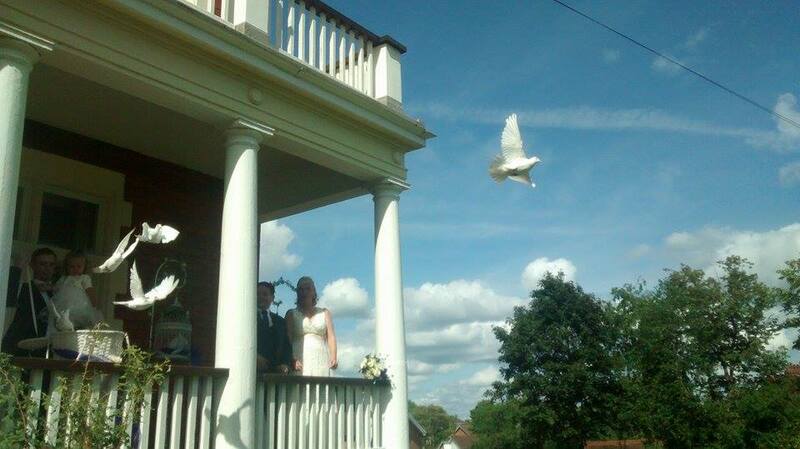 4) Memory White Doves. Sadly sometimes there is always that special person(s) who is not with us on that special day. why not release a dove(s) in their memory, or if there are a few members of you family you would like to make apart of your day they will be mentioned in your dove blessing as the memory doves are released, you can release as many doves as you fancy from large wicker baskets this is a spectacular moment to see them all fly off in unison with eachother. This price is on top of the True love package, at just £20 per dove. 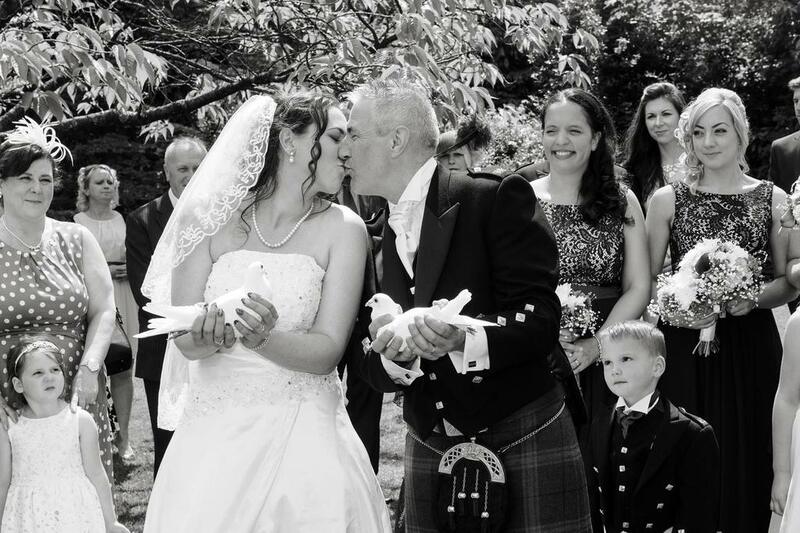 A wedding day dove blessing will be read out in keeping with the symbolic release of the doves at your wedding.There are many other options and ideas whether its for a surprise or a wedding present, we can sort if for you. For more information contact us today. We will be involved as little or as much as you wish, its about you and your family not us . If the weather is too bad we will still attend set up inside and you will have photo opportunities. And we will refund you any money you have paid for memry doves or additional doves.